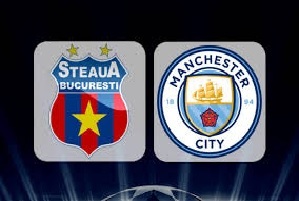 Steaua Bucuresti will play against Manchester City in UEFA Champions League play off first leg. Steaua is a solid Romanian team without a doubt. They started well in their domestic league with two wins, but there is really a huge difference between both teams. Manchester City started with 2-1 victory against Sunderland in the Premier League. This is Guardiola's first season with the Citizens. He will want nothing less than a win here and qualifying to the next round. Luckily for City all star players are available and in good shape in order to win both games under Pep's guidance. I expect the visitors taking all the points here in a low scoring game.